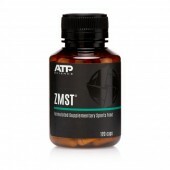 An unusual fat burner by any standard, AMP-V has been designed to minimise the ins-lin response during exercise while maximising the oxygen delivery to fat cells; both of which are key factors in accelerating fat loss. AMP-V can assist in fat burning, appetite suppression, can enhance your performance, increase focus and also act as an anti-inflammatory. 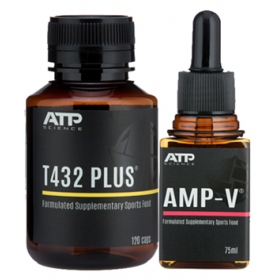 AMP-V by ATP Science is a revolutionary new fat burning product. Backed by a number of scientific studies and discussed in academic journals, consuming 2ml of AMP-V prior to working out will aid in the delivery of oxygen to fat cells and minimize the body’s natural ins-lin response during workouts. By enhancing fatty acid oxidation, AMP-V acts as a powerful fat burner and thermogenic, perfect for anyone looking to rapidly shed unwanted body fat. 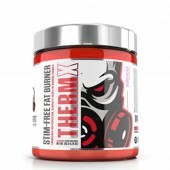 RockHard Supplements, Australias #1 Online Superstore is now proudly stocking T432. 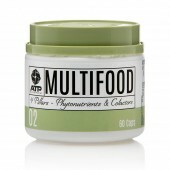 ATP Science has created a unique product packed full of super foods and spices from around the globe. The product promotes better energy levels, improved fat metabolism and thereby aids to build a toned muscular body along with adequate work-outs. T 432 acts by boosting the basal metabolic rate and help you burn fat efficiently. It does these through 3 different pathways - maintaining healthy thyroid function, by controlling ins-lin resistance and by boosting the glucagon-like peptide 1 and leptin. The RockHard Supplements team love ATP’s innovative product-T432. If your goal is to burn fat fast, this is the perfect product for you. It does elevate your body temperature, which allows you to burn more calories during cardio or training. RockHard Supplements recommends starting on one capsule and adjusting according to tolerance as this product is quite potent.